These learning opportunities are intended to assist maternal and child health (MCH) professionals in promoting the health and wellness of adolescents. Adolescents are resources to cultivate, not a problem to fix! Framework. Adolescent health and youth engagement are broad subjects spanning physical health, mental health, risk reduction, and systems integration—all wrapped within a public health approach to providing seamless care, health care approaches that are tailored to this population, and transition to adulthood. To put a conceptual framework on these large topics, the following learning opportunities have been organized by a crosswalk of the Bright Futures Topic Areas for Adolescents and the National Network of State Adolescent Coordinators Topic Areas. 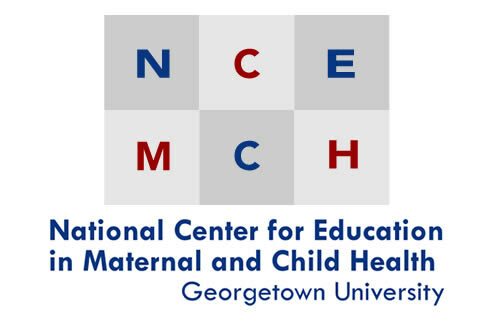 This training spotlight has been developed in collaboration with the Leadership Education in Adolescent Health (LEAH) programs, funded by the U.S. Health Resources and Services Administration's Maternal and Child Health Bureau. Adolescence: Preparing for Lifelong Health and Wellness. Year Developed: 2015. Source: Centers for Disease Control and Prevention (Public Health Grand Rounds) Presenter(s): Stephanie Zaza, MD, MPH; Patricia J. Dittus, PhD; Shannon L. Michael, PhD, MPH; Claire D. Brindis, DrPH. Type: Archived Webcast (Video) and Handout Level: Introductory. Length: 1 hour. Also posted to YouTube. Improving Care Delivery for Children: Leveraging the Medicaid Benefit for Children and Adolescents. Year Developed: 2014. Source: National Academy for State Health Policy. Presenter(s): Eliot Fishman, Glenace Edwall, Colleen Sonosky, Jennifer Vermeer. Type: Webinar Archive. Level: Intermediate. Length: 84 minutes. Downloadable PowerPoint slides. Office of Adolescent Health Webinars and Webcasts Library. Years Developed: 2011-present. Source: U.S. Department of Health ad Human Services, Office of Adolescent Health. Collection of over 50 archived audio webcasts on various topics related to adolescent health. Links to additional Online Learning courses are also available. Health Disparities Through an Adolescent Lens. Renee Jenkins, MD, FAAP, Professor of Pediatrics, Howard University College of Medicine. Office of Minority Health's National Partnership for Action to End Health Disparities. Rochelle Rollins, PhD, MPH, Director, Division of Policy and Data, Office of Minority Health, U.S. Department of Health and Human Services. Using Social Media to Improve Adolescents' Health Literacy. Nedra Kline Weinreich, MS, Weinreich Communications. Creating the Foundation for Healthier Communities. Marsha Shotley, Vice President, Board and Community Relations, Blue Cross and Blue Shield of Minnesota; President, Blue Cross and Blue Shield of Minnesota Foundation. Physical Growth and Development: Physical and oral health, body image, healthy eating, physical activity. Adolescent Health and Development. Year Developed: Various. Source: Johns Hopkins University. Presenter(s): Robert Blum, Ph.D., et al. Type: Online courses. Level: Introductory. Length: Self-paced Note: a full series of over 75 short courses (approximately 10 minutes each) available through iTunesU. Enhancing Adolescent Well-Visits. Year Developed: 2014. Source: Patient Centered Primary Care Institute. Presenter(s): Colleen Reuland, M.S., RJ Gillespie, M.D., MHPE, and Kristin Case, F.N.P. Type: Webinar archive and supplemental resources. Level: Advanced. Length: 60 minutes. Girls Matter! : A Six-Part Webinar Series Addressing Adolescent Girls' Behavioral Health. Year Developed: 2013-2014. Source: Substance Abuse and Mental Health Services Administration. Presenter(s): Various. Type: Webinar archives and supplemental materials. Level: Introductory-Advanced. Length: Approximately 60 minutes each. Eating Disorders On Campus: A Webinar for Student Advocates. Year Developed: 2015. Source: National Eating Disorders Association. Presenter(s): Sandee Nebel and Shirley Wang. Level: Intermediate. Length: 49 minutes. Well-Child Care: A Bright Futures Curriculum for Pediatric Providers. Updated: 2015. Source: National Center for Education in Maternal and Child Health. Presenter(s): Jeanne Anastasi, M.A., Eileen Clark, and John Richards, M.A., AITP. Type: Online course. Level: Advanced. Length: Self-paced. Social and Academic Competence: Connectedness with family, peers, and community; interpersonal relationships; school/job performance. Effective Practices to Cultivate Social and Emotional Learning in the Middle and High School Years. Year Developed: 2015. Source: Afterschool Alliance. Presenter(s): Celene Domitrovich, Linda Dusenbury, Jitendrapal Kundan, Penny Willis, and Ursula Helminski. Type: PowerPoint presentation available without registration; archived webinar requires free registration. Level: Intermediate. Length: 60 minutes. Family and Youth Services Bureau: Adolescent Trainings. (Numerous trainings on adolescent social/emotional development and LGBTQ support). Year Developed:varies. Source:Family and Youth Services Bureau, National Clearinghouse on Families and Youth. Presenter(s): Varied. Type: Online courses. Level: Introductory-Advanced. Length: Self-paced. Free, but requires registration. Fostering School Connectedness: Staff Development Program. Year Developed: 2011. Source: Centers for Disease Control and Prevention. Presenter(s): N/A. Type: Facilitator's Guide in combination with a general School Connectedness PowerPoint and an Action Planning Powerpoint for use in group trainings. Level: Intermediate. Length: Varies. Teaching Adolescents to Become Learners: Noncognitive Factors and Out-of-School Time. Year Developed: 2013. Source: Grantmakers for Education. Presenter(s): Camille Farrington, Melissa Roderick, and John Branam (moderator). Type: Archived webinar. Level: Intermediate. Length: 75 minutes. Emotional Well-Being: Coping, mood regulation and mental health, sexuality. Human Emotion 15.2: Emotion Development II (Adolescence). Year Developed: 2013. Source: Yale University. Presenter(s): June Gruber. Type: YouTube video. Level: Introductory. Length: 8 minutes. Inside the Adolescent Brain: Talking Point with Dr. Jay Giedd. Year Developed:2012. Source: University of New South Wales and U.S. Institute of Mental Health. Presenter(s): Jay Giedd, Ph.D. Type: YouTube video. Level: Introductory - Intermediate. Length: 13 minutes. This is a part of seven grouped videos on adolescent cognitive and socio-emotional development. Making It Work: An Evidence-Informed Approach to Services for Emerging Adults with Serious Mental Health Conditions. Year Developed: 2014. Source: National Technical Assistance Center for Children's Mental Health. Presenter(s): Gwen White. Type: Archived webinar. Level: Intermediate. Length: 60 minutes. Sexual Orientation, Gender Identity, and Mental Health in Children and Adolescents. Year Developed: 2013. Source: National LGBT Health Education Center. Presenter(s): Stewart Adelson, Ph.D. Type: Archived webinar. Level: Intermediate. Length: 60 minutes. Talking with Teens about Reproductive Health: How to Tackle the Tough Topics. Year Developed: 2016. Source: Office of Adolescent Health. Presenter(s): N/A. Type: Interactive Module. Type: Online course. Level: Introductory. Length: Self-paced. Understanding Adolescent Suicide Attempts: What Works. Year Developed: 2016. Source: Injury Control Research Center for Suicide Prevention. Presenter(s): Kimberly O'Brien, Joanna Almeida, Brandy Brooks, and David Goldston (moderator). Type: Webinar archive. Level: Intermediate-Advanced. Length: 60 minutes. Why Does This Still Upset Me? A Youth Guide to Understanding Trauma. Year Developed: 2016. Source: National Technical Assistance Center for Children's Mental Health. Presenter(s): Brie Masselli, Johanna Bergan, Sherry Peters, and Hayley Winterberg. Type: Archived webinar. Level: Intermediate. Length: 80 minutes. Risk Reduction: Tobacco, alcohol, or other drugs; pregnancy; STIs. How to Select an Evidence-Based Teen Pregnancy Prevention Program. Updated: 2015. Source: U.S. Department of Health ad Human Services, Office of Adolescent Health. Presenter(s): N/A. Type: Online course. Level: Intermediate. Length: Self-paced. Preventing e-Cigarette Poisoning among Children and Youth. Year Developed: 2014. Source: Children's Safety Network. Presenter(s): Krista Osterthaler and Mike Freiberg. Type: Webinar archive. Level: Intermediate-Advanced. Length: 60 minutes. Protecting Children from Tobacco, Nicotine, and Tobacco Smoke. Year Developed: 2015. Source: American Academy of Pediatrics: Julius B. Richmond Center of Excellence. Presenter(s): Karen Wilson, M.D., M.P.H., FAAP and James Baumberger, M.P.P. Type: Webinar archive. Level: Intermediate. Length: 50 minutes. Talking to Adolescents and Young Adults About Sexually Transmitted Infections (CDC Expert Commentary). Note: Access requires log in to Medscape (free). Year Developed: 2013. Source: Centers for Disease Control and Prevention. Presenter(s): Catherine Lindsey Satterwhite, PhD, MSPH, MPH. Type: Video. Level: Introductory. Length: 5 minutes. Unleashing the Collective Power of Communities: National Substance Abuse Prevention Month—A Webinar for Parents on Evidence-Based Strategies to Prevent Substance Use. Year Developed: 2015. Source: Office of National Drug Control Policy. Presenter(s): Wilson Compton, Ph.D. et al. Type: Archived webinar. Level: Introductory-Advanced. Length: 85 minutes. Webinar Series on Replicable Models of School-based Sexual Health Services for Adolescents. Year Developed: 2011. Source: National Coalition of STD Directors. Presenter(s): Various. Type: Archived webinar. Level: Intermediate-Advanced. Length: Approximately 60 minutes each. Four webinars focused on state efforts to support school-based reproductive and STI services. Widening Our Lens: Co-Occurring Risk Behaviors During Adolescence. Year Developed: 2015. Source: U.S. Department of Health ad Human Services, Office of Adolescent Health. Presenter(s): Vincent Guilamo-Ramos, Ph.D., Jaclyn Ruiz (moderator). Type: Archived audio, slides, and transcript. Level: Intermediate. Length: 60 minutes. Violence and Injury Prevention: Safety belt and helmet use, substance abuse and riding in a vehicle/driving, guns, interpersonal violence (fights, dating violence, stalking), bullying. Dating Matters: Understanding Teen Dating Violence Prevention. Year Developed: 2015. Source: Centers for Disease Control and Prevention. Presenter(s): N/A. Type: Online course. Level: Intermediate. Length: Self-paced. Intimate Partner Violence Among Expectant and Parenting Youth: Prevention, Identification, and Intervention. Year Developed: 2015. Source: U.S. Department of Health ad Human Services, Office of Adolescent Health. Presenter(s): Nadine Finigan-Carr, Jaclyn Ruiz (moderator). Type: Archived audio, slides, and transcript. Level: Intermediate. Length: 60 minutes. The National Action Plan for Child Injury Prevention (4 Part Series): Data and Surveillance | Communication | Policy | Education | Training. Years Developed: 2013-2014. Source: National Association of County and City Health Officials. Presenter(s): Various. Type: Archived webinar. Level: Introductory-Advanced. Length: Approximately 60 minutes each. What To Do About Bullying? : Key Prevention Strategies for Health Departments. Year Developed: 2016. Source: Children's Safety Network (CSN). Presenter(s): Cynthia Minkovitz, M.D., M.P.P., Erin Reiney, M.P.H., CHES, and Susan Limber, Ph.D. Type: Webinar archive. Level: Intermediate. Length: 60 minutes. Part of CSN's Webinar Series. Youth Violence Prevention: A Public Health Approach. Year Developed: 2014. Source: Children's Safety Network (CSN). Presenter(s): Howard Spivak, M.D. and Sarah Bacon, Ph.D. Type: Webinar archive. Level: Intermediate. Length: 60 minutes. Part of CSN's Webinar Series. Stop Bullying: Bullying Prevention Training Center. Year Developed: N/A. Source: U.S. Maternal and Child Health Bureau. Presenter(s): N/A. Type: Online courses. Level: Introductory - Intermediate. Length: Self-paced. Striving to Reduce Youth Violence Everywhere (STRYVE). Year Developed: N/A. Source: Centers for Disease Control and Prevention. Presenter(s): N/A. Type: Online course. Level: Intermediate. Length: Self-paced. Adolescent Health Systems Building and Transition to Adult Care: Assessing, strengthening and and coordinating systems for adolescent health at the state level. Care Coordination under the Medicaid Benefit for Children and Adolescents. Year Developed: 2014. Source: National Academy for State Health Policy. Presenter(s): Rosemary Field, Dana Hargunani, Chris Collins. Type: Webinar Archive. Level: Intermediate. Length: 1 hour. Health Care Transition for Adolescents and Young Adults. Year Developed: 2014. Source: HSC Health Care System Presenter(s) :Peggy McManus, Patience White, et al. Type: Online Course. Level: Intermediate. Length: 60 minutes. Medical Home Modules for Pediatric Residency Education: Module 4– Facilitating the Transition From Pediatric to Adult Care. Year Developed: 2015. Source: American Academy of Pediatrics. Presenter(s): N/A. Type: PDF of self-paced course. Level: Intermediate. Length: Self-paced. Moving On: The Transition of Adolescents and Young Adults Living with Special Health Care Needs to Adult Care. Year Developed: 2014. Source: Center for Strengthening Youth Prevention Paradigms (SYPP Center). Presenter(s): Diane Tanaka, Maria Sipin. Type: Webinar Archive. Level: Intermediate. Length: 1 hour. Promoting Oral Health Through the Medicaid Benefit for Children and Adolescents. Year Developed: 2014. Source: National Academy for State Health Policy. Presenter(s): Laurie Norris, Michelle Harper, Susan Tucker. Type: Webinar Archive. Level: Intermediate. Length: 60 minutes. School-Based Health Centers and MCH/Title V: Latest Opportunities. Year Developed: 2015. Source: National Network of State Adolescent Health Coordinators. Presenter(s): Iliana White. Type: Webinar Archive. Level: Advanced. Length: 70 minutes. Frameworks: Theories that apply a holistic view and resiliency thinking to adolescent health. Adolescence: Preparing for Lifelong Health and Wellness. Year Developed: 2015. Source: Centers for Disease Control and Prevention (Public Health Grand Rounds). Presenter(s): Stephanie Zaza, MD, MPH; Patricia J. Dittus, PhD; Shannon L. Michael, PhD, MPH; Claire D. Brindis, DrPH. Type: Webcast Archive (Video) and Handout. Level: Introductory. Length: 1 hour. Also posted to YouTube. Beyond the Data (Same page as above; see second tab on web page). Year Developed: 8/18/2015. Source: Centers for Disease Control and Prevention (Public Health Grand Rounds). Presenter(s): Phoebe Thorpe, MD, MPH; Stephanie Zaza, MD, MPH. Type: Recording Archive (Video). Level: Intermediate. Length: 10 minutes. Adolescent Health Care: Transforming health care and public health systems to better serve adolescents and young adults. Access to Health Care for Young Adults: Impact & Implications of the Affordable Care Act (slides and recording) [Presentation at the Institute of Medicine on the impact of the ACA on young adult health]. Year Developed: 2013. Source: Center for Adolescent Health & the Law. Presenter(s): Abigail English, JD. Type: Video Conference. Level: Intermediate. Length: 18 minutes. Effective Clinical Interviewing of Adolescent Boys and Young Men. Year Developed: 2013. Source: Boston Children's Hospital. Presenter(s): N/A. Type: Online Course. Level: Intermediate - Advanced. Length: Self-paced. Putting Bright Futures to Work: Implementing Preventive Care Guidelines in Adolescence and Young Adulthood. Year Developed: 2015. Source: School Based Health Alliance. Presenter(s): Kathy Janies, Barbara Frankowski, Marian Earls, Paula Duncan. Type: Webinar Archive. Level: Advanced. Length: 50 minutes. Strategic Planning: State adolescent health strategic plans and products. Taking Action with Evidence: Implementation Roadmap–NPM 10 (Adolescent Well Visit). Year Developed: 2015. Source: Association of Maternal and Child Health Programs. Presenter(s): Michele Lawler; Cynthia Minkovitz, MD, MPP; Charles Irwin, MD; Claire Brindis DrPH. Type: Webinar Archive. Level: Advanced. Length: 59 minutes. Engaging Adolescents Through the Medicaid Benefit for Children and Adolescents. Year Developed: 2014. Source: National Academy for State Health Policy. Presenter(s): Elizabeth Hill, Marian Earls, Sarah Nickels. Type: Webinar Archive. Level: Intermediate. Length: 1 hour. Engaging Select Populations. Year Developed: 2015. Source: Office of Adolescent Health. Presenter(s): N/A. Type: Interactive Learning Tool. Level: Introductory. Length: Self-paced. Power Prism Strategies for Advocacy and for Engaging Youth. Year Developed: 2013. Source: Health Resources in Action (HRIA). Presenter(s): Lori Fresina, Diane Pickles, Laurie Jo Wallace, and Brittany Chen. Type: YouTube video. Level: Intermediate. Length: 68 minutes. Voices of Transgender Adolescents in Healthcare. Year Developed: 2015. Source: University of Michigan Health System, Adolescent Health Initiative. Presenter(s): N/A. Type: YouTube video. Level: Introductory. Length: 8 minutes. Adolescent Health Professional Resource Guide. Adolescent Pregnancy and Parenting Professional Resource Guide. Adolescent Pregnancy Prevention Professional Resource Guide. Adolescent Violence Prevention Professional Resource Guide. Bullying Professional Resource Guide | Bullying Evidence Brief. Children and Youth with Special Health Care Needs Professional Resource Guide | Family Resource Brief | School Resource Brief. These resources direct readers to a selection of high-quality resources that analyze data, describe effective programs, and report on policy and research aimed at developing systems of care that are family-centered, community-based, coordinated, and culturally competent. Dating Violence Among Adolescents Professional Resource Guide. Emotional, Behavioral, and Mental Health Challenges in Children and Adolescents Professional Resource Brief. Health and Wellness for Adolescent Girls and Women With Mental And Behavioral Health Conditions Resource Brief. Health Insurance and Access to Care for Children and Adolescents Professional Resource Guide. Nutrition in Children and Adolescents Professional Resource Guide. Physical Activity and Children and Adolescents Professional Resource Guide. School Health Professional Resource Guide. Sexuality Education Professional Resource Guide. Social and Emotional Development in Children and Adolescents Professional Resource Guide. Tobacco, Alcohol, and Substance Use in Children and Adolescents Professional Resource Guide.